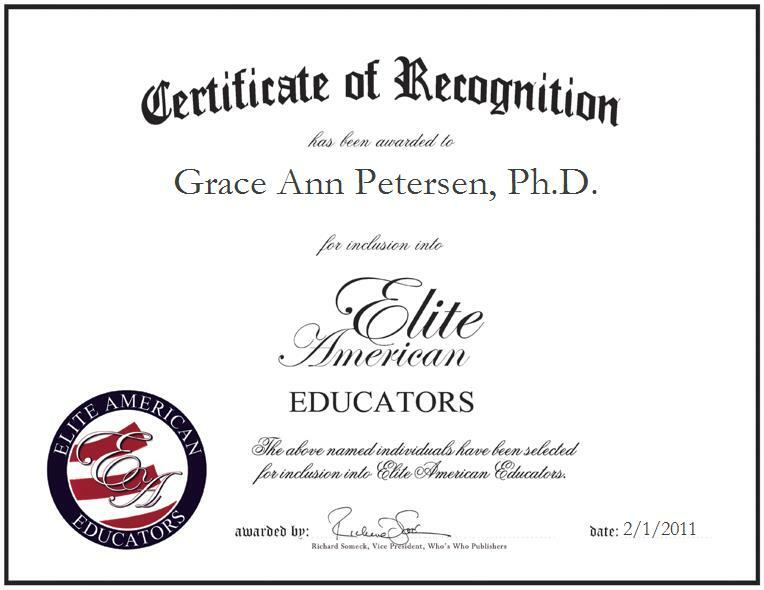 A 34-year veteran of higher education, Dr. Grace Ann Petersen is best noted for her expertise in reading instruction. She shares her knowledge with graduate students at Chadron State College in Chadron, Nebraska. As associate professor, she coordinates the teacher internship program, teaches reading methods, supervises classrooms, and assesses students’ performance. An alumna of the University of Nebraska, Dr. Petersen completed a Ph.D. in 2005. She stays abreast of developments in her industry through her involvement in industry organizations such as the Nebraska State Reading Association, the National Association of Elementary School Principals, the Association of Teacher Educators, the International Reading Association and Phi Delta Kappa.